Malavika Wales is a talented and beautiful Indian actress, well-known for her works in South Indian film industry. Basically from God’s own country of Kerala, this skinny lass contested in the 2009 Miss Kerala beauty pageant, when she was just 16 years old, making her the youngest participant in that year. She reached up to the third level and was crowned ‘Miss Beautiful Eyes’. Wales started learning classical dance at her tender age of six. She is well trained in Bharatanatyam, Mohiniyattom and Kuchipudi. Wales subsquently made her acting debut in Malayalam and Tamil in 2010 and 2014, respectively. Wales was born on 19 July 1992, in Thrissur, Kerala, India. Malavika attended Hari Sri Vidya School in Thrissur. After graduating from school, she joined Anupam Kher’s acting school to learn acting and drama. She is currently pursuing her BA in English Literature at the IGNOU. Unfortunately, not much details are known about her current relationship status or past relationships. Malavika Wales ventured into showbiz in 2010 with a Malayalam film, Malarvaadi Arts Club. In 2014, She made her Tamil debut in Enna Sathan Indha Neram as Meenakshi. In 2013, she hosted her first television reality show, Super Star The Ultimate which aired on Amirta TV. After that, in 2015, she started doing serials where she played the title role in a Malayalam soap Ponnambili from 2015 to 2016. She also has been the cast of the popular South Indian multi-lingual serial Nandini in which she plays one of the lead roles as Janaki Arun/Seetha Arun (Dual role) alongside Nithya Ram. This marked her debut in Tamil and teh series is airing on Sun TV. During her brief stint as a model, she did some commercials. From her age of six, she has been learning all forms of classical dance. She had her Arangettam at Guruvayur Sreekrishna Temple three years later. 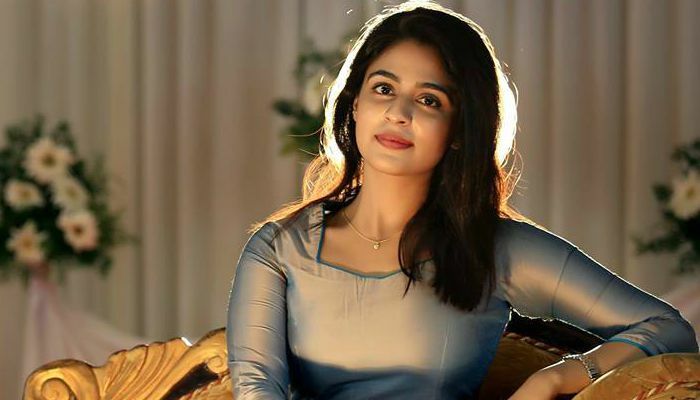 Walves was discovered by Vineeth Sreenivasan, son of actor and screenwriter Srinivasan, after seeing her photos in magazines and subsequently auditioned her for the lead role in Malarvaadi Arts Club. Despite having acted in more than half a dozen of movies, none of her films were successful at the box office. She then eventually landed in serials. In 2016, she received Unique Times FMB Award for Best Actress for her performance in Ponnambili. The same year, she was also awarded Manappuram – Minnale TV Awards Best Television Actor (Female) 2016 for Ponnambili.